Visitors were not in short supply at the annual Welshpool & Llanfair Railway gala, held between Friday, August 31 and Sunday, September 2. 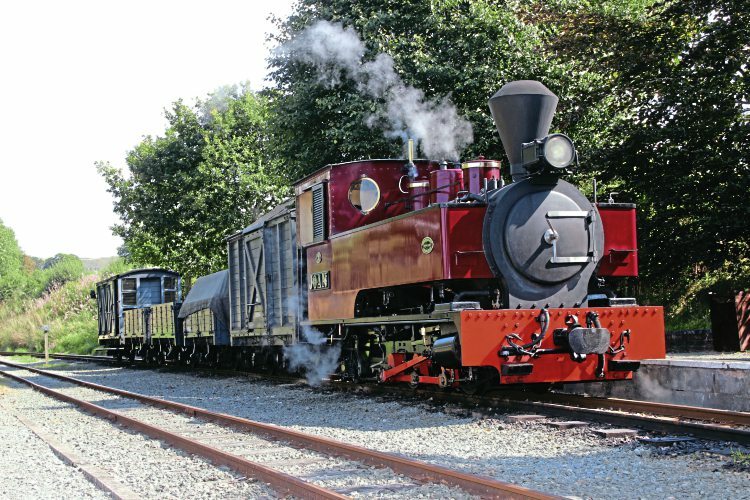 One of the highlights of the narrow gauge scene’s calendar, as is tradition, the Mid Wales 2ft 6in gauge line operated its most intensive timetable of the year – but with some welcome different twists and extras. A prime example was the ability for the public to experience a pump trolley in the bay platform at Welshpool. Visiting from the Sittingbourne & Kemsley Light Railway, it provided interest between trains, as well as augmenting the small model show in Welshpool’s exhibition shed. Another welcome attraction was Bagnall 0-6-2T Superb from the SKLR, making its second visit to the W&L – and this year it was allowed to haul trains unassisted. Kerr Stuart 0-6-2T Joan awaits departure from Castle Caereinion with a train of original W&L good stock. As last year, Superb partnered up with W&L resident Kerr Stuart Joan, an earlier incarnation of the 0-6-2T design. Rescued from Antigua in 1971, Joan made a fine sight at the head of both original WLLR freight stock and the Sierra Leone Railway carriages. As would perhaps be expected, the W&L’s original locomotives, Beyer Peacock-built sisters The Earl and Countess proved to be attractions in their own right. Read more and view more images in Issue 246 of HR – on sale now!